“Algorithms to Live By” is one of those rare books that combines complex concepts with great readability. 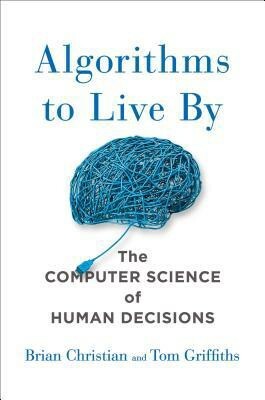 At its heart, “Algorithms to Live By’ explores the various fundamental algorithms out there with a practical perspective on how these apply to solve day-to-day problems. ‘Algorithms to Live By’ covers a wide gamut of domains. These range from apartment hunting to urban planning; from minimizing regret to philosophy. The book shows us how algorithms are useful in our daily lives. It also demonstrates the pervasiveness of these algorithms across all walks of life. ‘Algorithms to Live By’ has 11 chapters, each dealing with a unique set of problems. Every chapter starts off by introducing the problem . Then it delves into the history behind the theory and the theoretical solution. We then see the usage of the algorithm and its practical limitations. This is seamless. Every chapter is also self-contained in itself. We can choose the read the chapters in any order we like. I found it hard to put down this book. Each chapter was engrossing. In fact, thinking about it, this book is like playing the game “Civilization”. The reader always has the urge to read a little more (‘One more turn’ in Civilization). There were a couple of examples which made me wish that I had known about those in college. In fact, this book answers the question that most people have when they learn mathematics — ‘how is this useful?”. There are great tips for us in our lives. ‘Algorithms to Live By’ has a brilliant mix of the theory as well as the practical limitations of these algorithms. This book has the right proportion of humour too. If there is one nitpick that I have, it is that people who know the mathematics are more likely to love it. My recommendation — everybody should read this book.